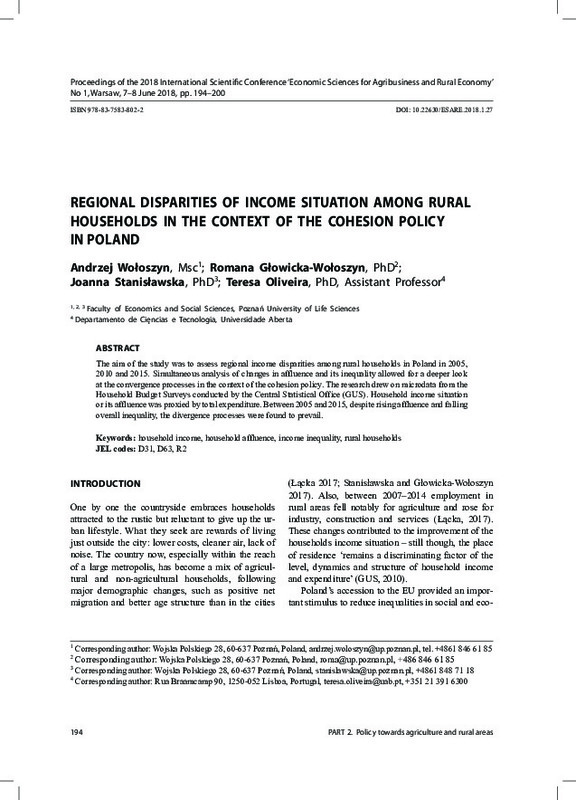 The aim of the study was to assess regional income disparities among rural households in Poland in 2005, 2010 and 2015. Simultaneous analysis of changes in affluence and its inequality allowed for a deeper look at the convergence processes in the context of the cohesion policy. The research drew on microdata from the Household Budget Surveys conducted by the Central Statistical Office (GUS). Household income situation or its affluence was proxied by total expenditure. Between 2005 and 2015, despite rising affluence and falling overall inequality, the divergence processes were found to prevail.